Free Shipping on all the Consultant Kits in May! 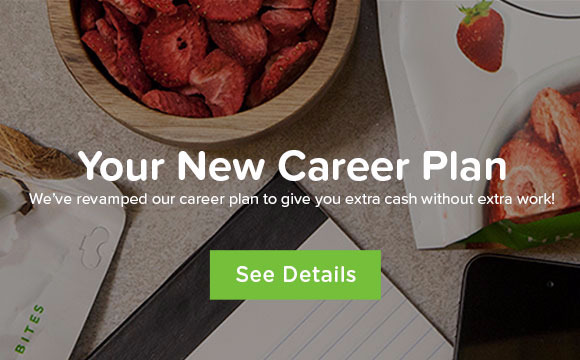 Why Become a THRIVE Life Consultant? Becoming a consultant is a great way to earn a little extra income as you share this delicious and healthy food with others who need it and want it! It’s so worth it, even if you are just wanting to benefit from your own orders! I love how this Temple Mirror turned out! I just finished putting together 25 mirrors for a church activity this weekend. I can't wait for the girls to see what we have planned for them! 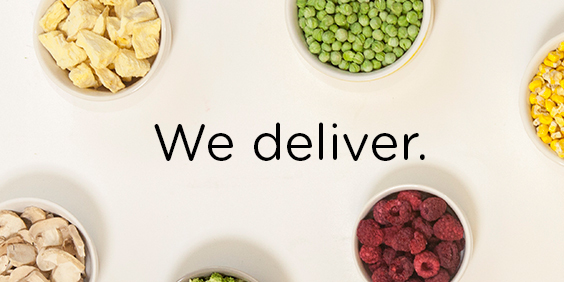 It's the best time to load up on pantry staples or find a new family favorite! 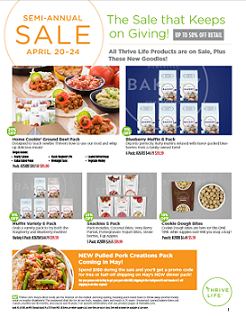 All Thrive Life food is up to 50% off during the Semi-Annual Sale, plus we have some amazing new products you'll love! Go to my website on April 20 to shop the sale, and feel free to contact me with any questions! 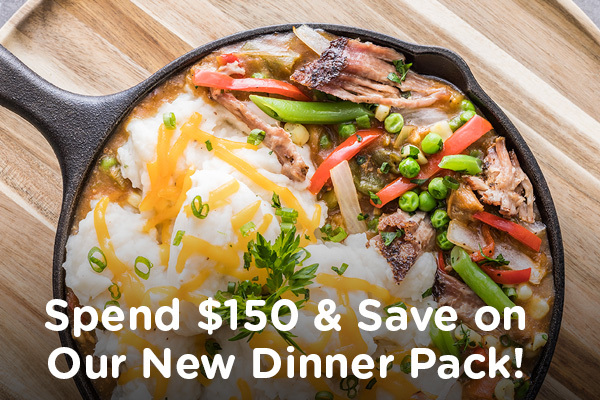 Spend $150 during the sale and get free or half-off shipping on May's Pulled Pork Creations dinner pack! 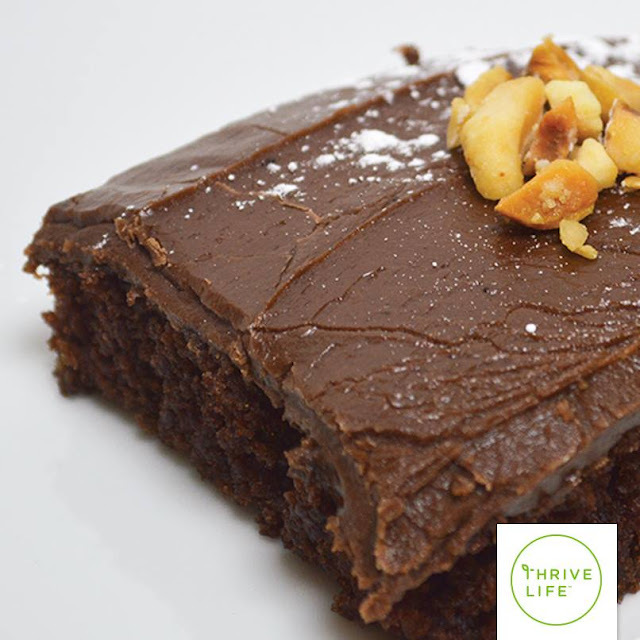 You'll get all the Thrive Life ingredients you need to make 7 deliciously easy recipes in under 30 minutes. There's a new muffin in town! 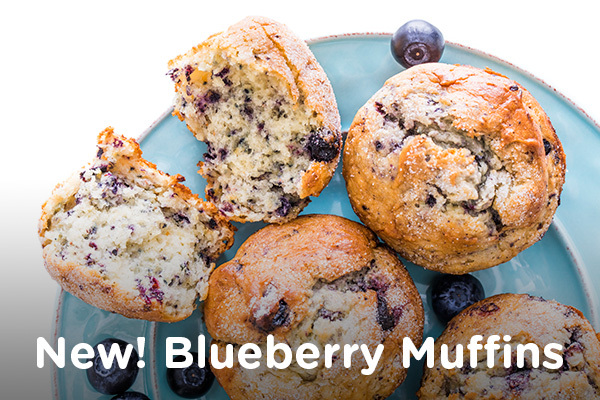 Made with real, whole blueberries and ready in 15 minutes, your mornings are getting a lot easier! Get your Blueberry Muffin box, or try both flavors in a variety pack! These bite-sized morsels of goodness were ONLY available during last year's convention, but now they'll be on sale while supplies last! 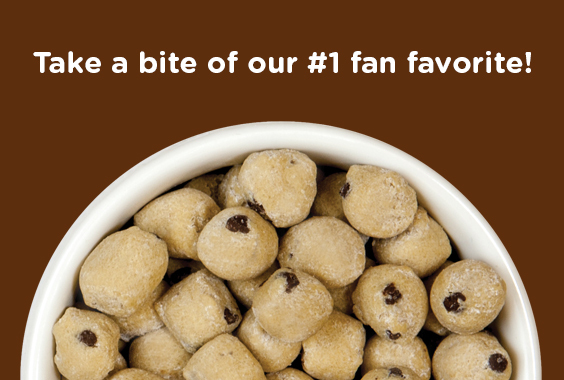 Make sure to snag some bags fast, 'cause these fan favorites won't last long! Can I get a "woot woot?!" 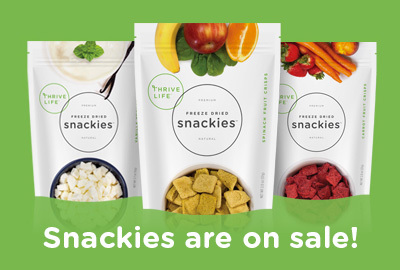 Get a box of 5 of our most popular Snackies for $19.99! 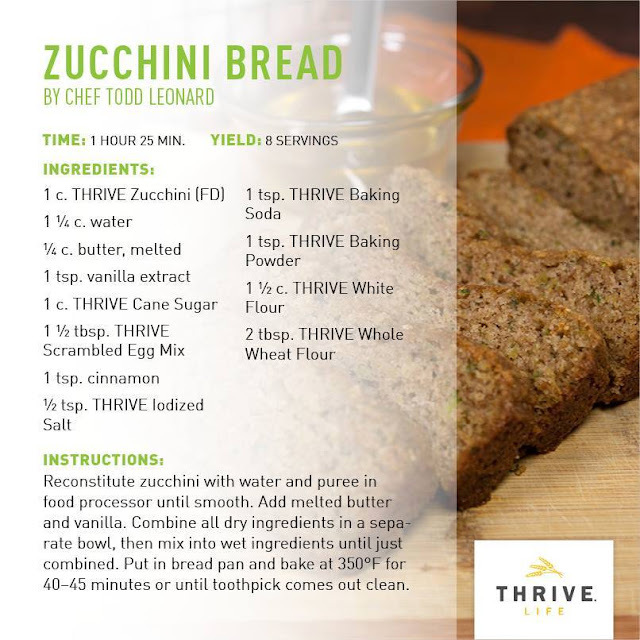 You can have zucchini bread anytime! I love our freeze dried zucchini. You can add it in soups, spaghetti sauces, veggie lasagna. It's yummy just eating it out of the can too. Another thing I've done is put some of the zucchini powder in the kids mac-n-cheese....give that a try!